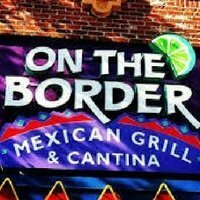 No need to head South for On the Border menu prices! On the Border is an American casual dining restaurant offering guests Border-style specialties prepared with mesquite-grilled meats, fresh ingredients, and hand-pressed tortillas. Typical menu choices include tacos, enchiladas, and fajitas. Fresh guacamole is prepared in small batches table-side. On the Border also offers hand-crafted, refreshing cocktails and ice cold beer. All On the Border locations are open for Lunch & Dinner. Reservations are recommended when celebrating a special occasion or dining as part of a large group. Below is the latest On the Border menu with prices. What’s new at On the Border? Guests that are concerned about calorie intake can now choose from a selection of menu choices that offer less than 590 calories. Be sure to choose from the Border Smart(TM) menu. Turn your next social gathering or corporate event into a FIESTA! On the Border can delivery an array of food choices or provide a full-service buffet. The choice is yours. Planning is simple. Call On the Border and choose your favorite Border-style dishes, let On the Border know the details, such as the number of people, time, and place, then sit back and wait for the compliments to roll in. Be sure to give the gift card that will sizzle with your friends and family. Guests can order traditional gift cards and have them personalized. Traditional gift cards will be sent to a recipient via postal service. Guests can also send e-gift cards anytime. The recipient will receive the e-gift directly in their email inbox instantly after purchase. On the Border makes it easy for all guests to get the nutritional information they need to make healthy food choices when dining out. The nutritional guide on the official website offers nutritional values for all the menu items plus it lists all their corresponding allergen information. Guests should view or print the guide prior to their next visit to On the Border. For guests with specific food allergies, On the Border has prepared a list of menu items depending on the allergen. Guests should advise restaurant manager of their allergies if there is concern about what to choose. The allergen guide can be located on the official On the Border website. Be sure to visit the site before your next trip to On the Border. Lifestyle diets and gluten sensitivity should not stop guests from enjoying the great tasting food at On the Border. On the Border offers a suggested list of menu options to meet the needs of vegetarian and gluten sensitive guests. The special menus can be found online and downloaded for easy reference. The only way for guests to stay up-to-date with the latest news and special offers is the join On the Border’s Club Cantina email service. Signing up is quick and free. Guests who join will be rewarded with a free queso or sopapillas when they order an entree. On the Border is always looking for high-energy, easy-going individuals to join their team. If you have a passion for providing great customer service in a lively atmosphere, then check out the Career page on the official On the Border website. Potential candidates can learn about the company, its philosophy and browse the list of current openings. Three friends wanted to introduce people to the taste of mesquite-grilled meat and sauces made in small batches (commonly referred to as Border-style food). They pooled their resources and in 1982, the first On the Border restaurant opened in Dallas, Texas. Today, there are over 130 On the Border locations in the U.S. serving Border-style dishes consisting of mesquite-grilled meats, hand-pressed tortillas, and fresh ingredients. As of 2014, On the Border is owned by Argonne Capital Group. Be sure to follow and connect with On the Border through various social media platforms. For more information about On The Border, please visit their official website.